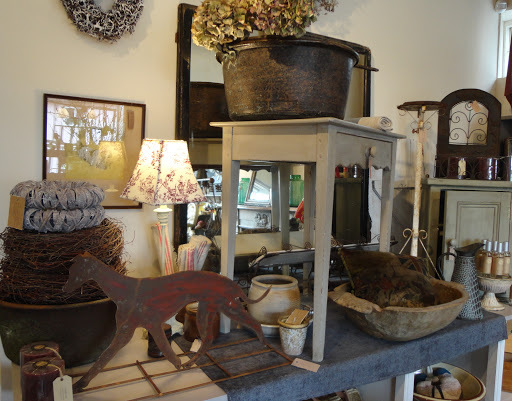 A new addition this week, is a handcrafted metal Greyhound on a stand. Display inside or out. 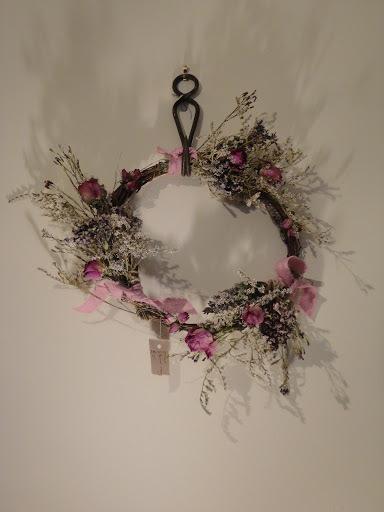 A delicate dried flower ring made of Roses and Sea Lavender (sorry now sold, we do take bespoke commissions). We will create a few signature posies and bouquets made to order and some available ready to purchase from the shop from Thursday23rd March. 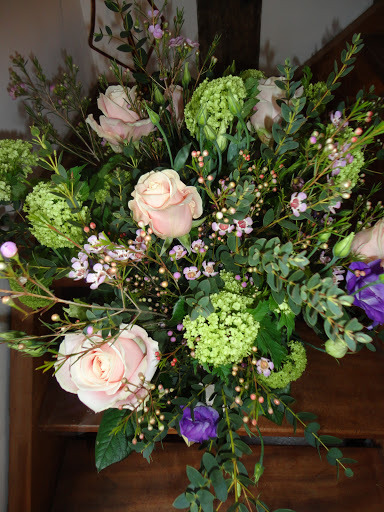 ‘Spring Medley’ bouquet made with Irises, Viburnum, Tulips & Waxflower all beautifully wrapped. Tulip Mix wrapped in tissue and posies of Ranunculus, Hyacinths & other seasonal blooms available too. Planted pots of Spring flowering bulbs, potted Camellia, Saxifraga, indoor Jasmine and wire planter filled with herbs. 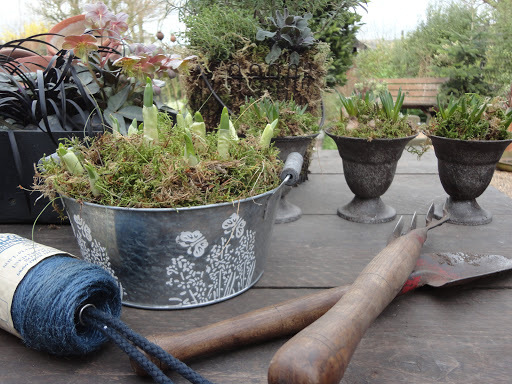 Tulip shaped urn filled with white magic Muscari and top dressed with carpet moss. £12 ea. 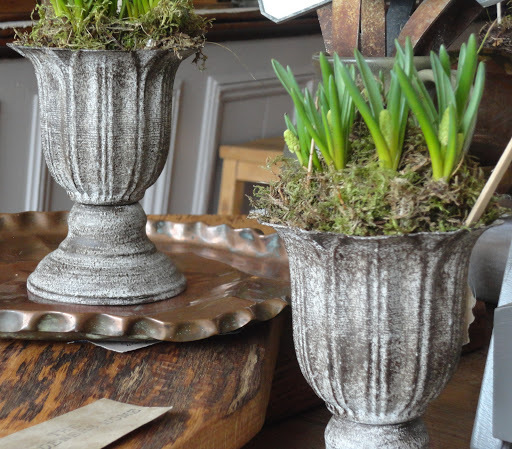 Tin planter filled with Narcissus ‘Bridal Crown’ £16.95, little urns planted with white magic Muscari £10 each, herb planter in background £25. 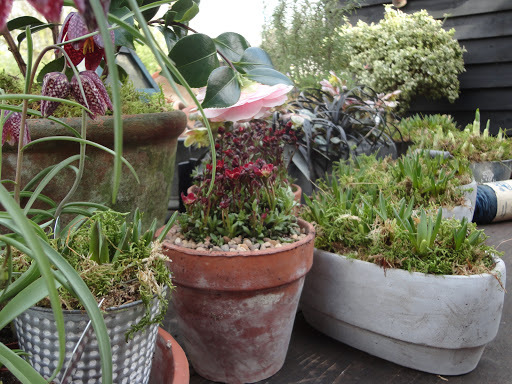 We plant in limited numbers of any one container, please order to avoid disappointment.